Eileen Casey is the Executive Coordinator of the Governor's Committee on the Employment of People with Disabilities (GCEPD). She is also a person with a disability who lost her leg to cancer. Fred Jones, the Director of the Vermont Division of the Fred Jones is the Director of the Division of theBlind and Visually Impaired. 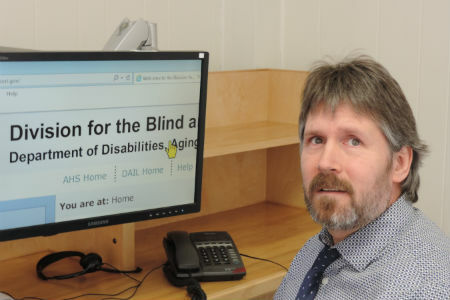 Fred is blind and uses assistive technology in his job. 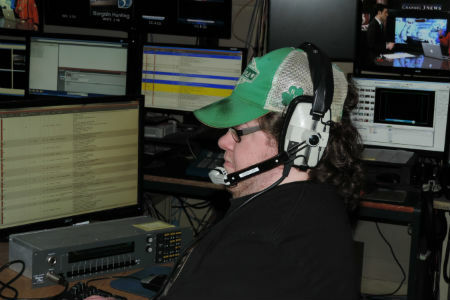 Paul is the Producer of the evening News on WCAX. He is a person with a disability, in his case a degenerative muscle disease. Welcome to the Governor's Committee on the Employment of People with Disabilities (GCEPD). We are a mandated group of volunteers with a broad range of personal and professional experience who are passionate about employment opportunities for all. Inform employers about the benefits of hiring people with disabilities and of the availability of assistive technologies for supporting successful employment. Would you like a copy of our quarterly, free digital newsletter, Abilities? It has interesting articles about the success of people with disabilities and important legislative and regulatory changes that could affect people with disabilities. If you are interested in receiving this, send an email to vtgcepd@gmail.com with the subject line "Abilities." We will do the rest. WE stay busy on the GCEPD. Follow this link to find out what Vice-Chair Eileen Casey has been doing.To raise awareness and to give comfort to people with disabilities the Vermont Teddy Bear Company is making Teddy Bears without limbs. Here is a link to a recent news article - Teddy Bears without limbs. It is a very heartwarming story. 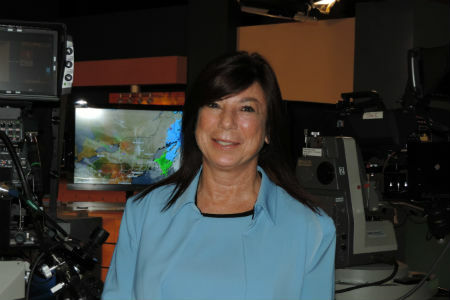 BTW, the runner is Eileen Casey, Vice-Chair of the Governor's Committee on the Employment of People with Disabilities. A new product from Vermont Teddy Bear of Shelburne embraces physical disabilities.